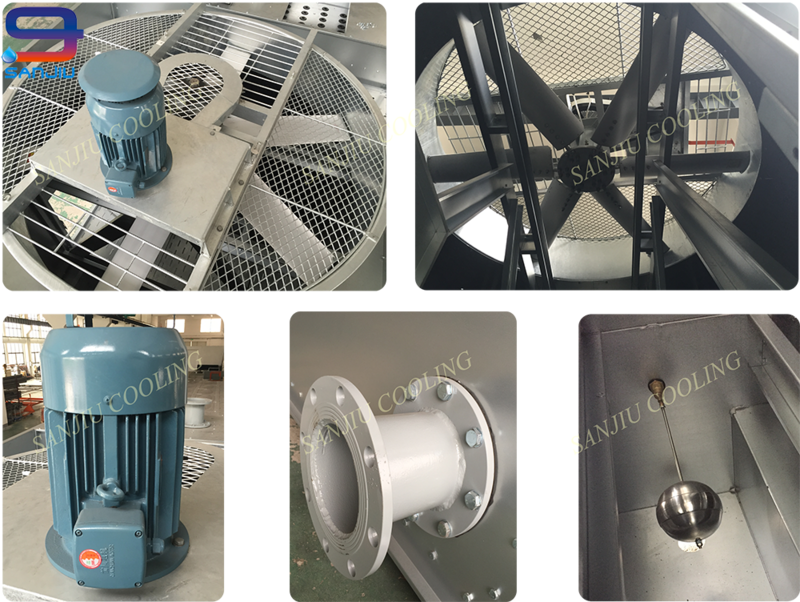 SANJIU GOM series, axial fan open circuit Cooling Towers are engineered & manufactured in accordance to our company standards and Quality System certified by ISO 9001:2008. 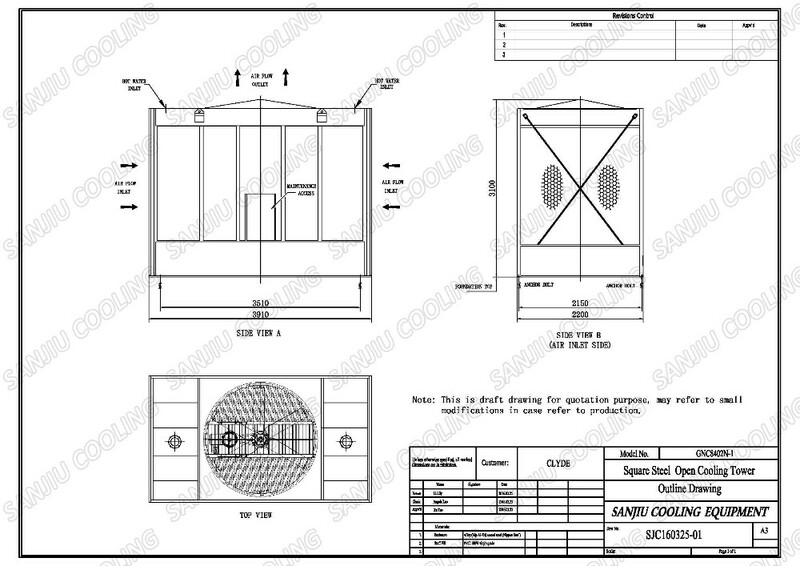 Main Configerations STRUCTURE & CASING The tower enclosure is made in special alloy (Mg-Al-Zn) coated steel panels, originally imported from Nippon Steel or Posco. These panels exhibit superior corrosion resistance, and self-heal when scratched during the service period. The panels are bolted and sealed for water tightness. The casing is complete with maintenance access doors for internal inspection convenience. DRIFT ELIMINATORS The Drift Eliminator is vacuum formed from PVC sheets into a special shape allowing minimum water carry-over, with negligible pressure drop. The eliminator is formed by sections that can be easily handled. AXIAL FAN SECTION The axial fans have light weight al-alloy blades perfectly balanced and coupled to a weather proof electric motor. 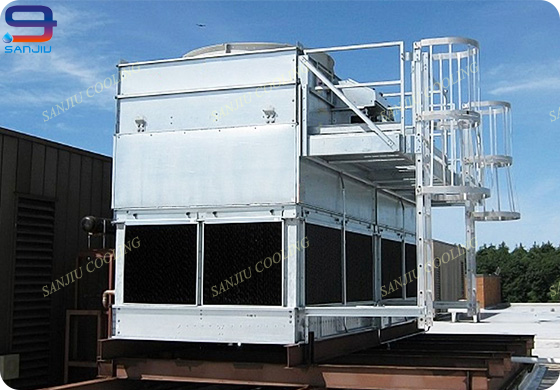 The fan casing is a steel cylinder to draw the air vertically and avoid the risk of recirculation. The tip speed of the impeller is limited to keep the noise level within acceptable limits. WET DECK FILL The fill is formed inflame-retardant PVC sheets with a shape specially designed to optimise the turbulence of the counter current fluids. For medium fouled waters we can supply a fill with enlarged grids. 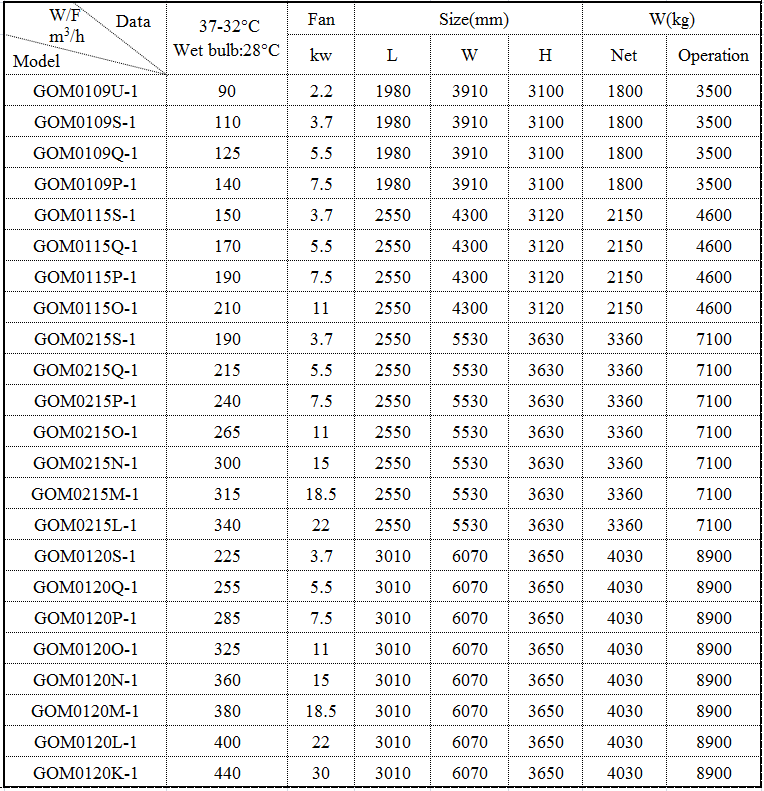 All the raw materials are of virgin grade from approved suppliers. 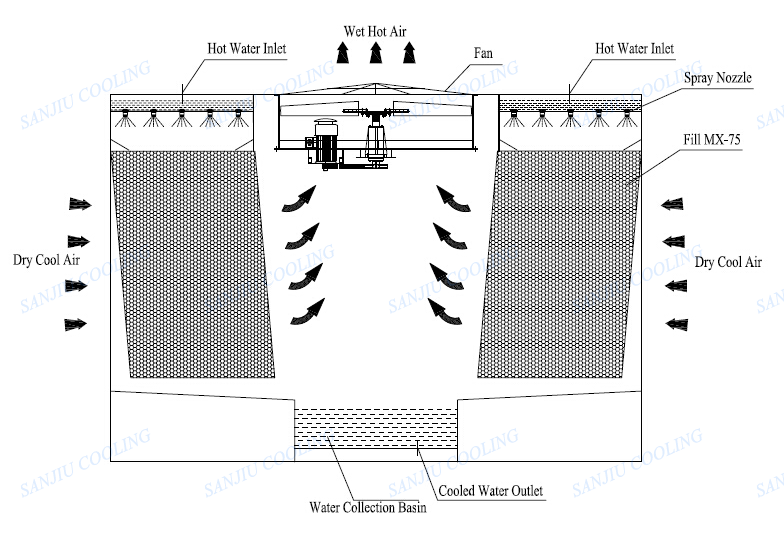 WATER DISTRIBUTIONSYSTEM The main header(s) - one to three depending on the model - is fabricated in steel and hot dip galvanized. Secondary headers are made in PVC and use non-clogging spray nozzles in special rubber compound or in resin, depending on the model. 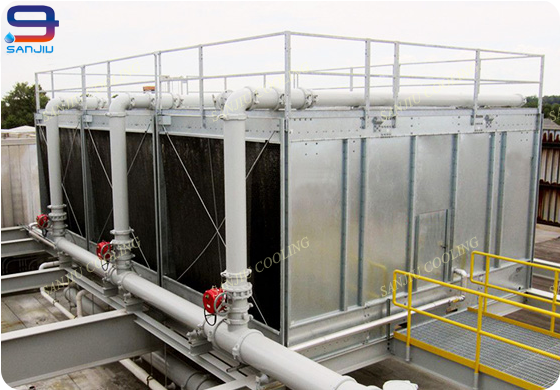 Contact us if you need more details on Open Cooler. 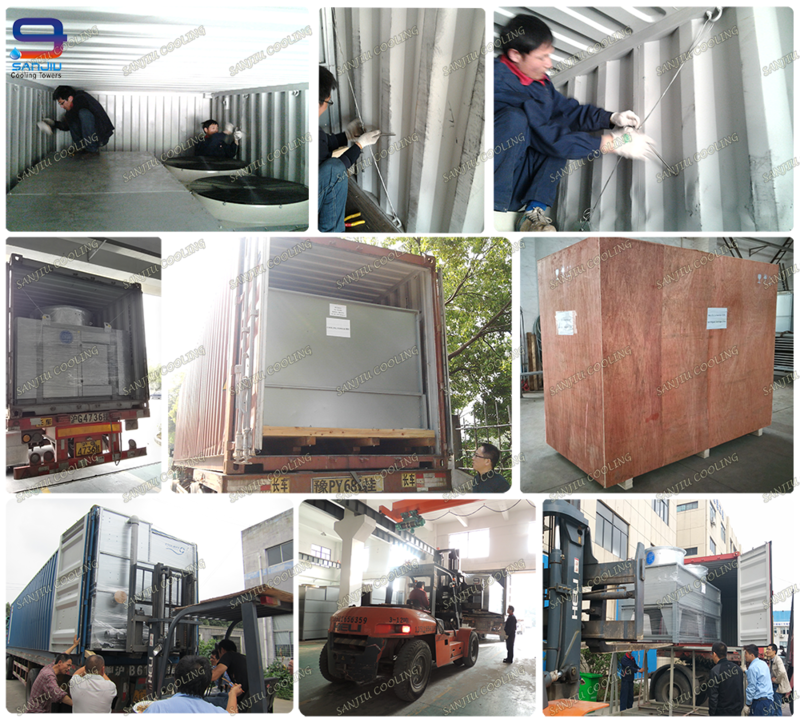 We are ready to answer your questions on packaging, logistics, certification or any other aspects about Open Cooling Tower、Cooling Tower. If these products fail to match your need, please contact us and we would like to provide relevant information.